North Korea's economy grew 3.7 percent in 2017, a professor of a think tank in Pyongyang said in brushing aside the view that the country has faced an economic contraction against a backdrop of international sanctions. 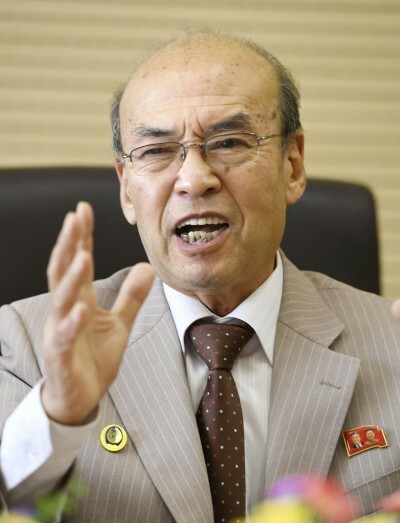 Ri Gi Song, a professor of the Institute of Economics at the Academy of Social Sciences, said in a recent interview with Kyodo News that North Korea has achieved economic expansion without depending on other nations. Ri said gross domestic product totaled $30.70 billion in 2017, up from $29.60 billion in 2016. It is very rare for North Korea to disclose its GDP and also the first time that the country's GDP data in the past two years have been unveiled. But it is impossible to verify the accuracy of the figures, as the professor did not make public other economic indicators such as consumer spending, investment and inflation rate. Although a report released by South Korea's central bank showed in July that the North's economy shrank 3.5 percent in 2017 from the previous year, Ri shrugged it off, saying Seoul's calculation is "only an estimation." He said North Korea's population grew to 25,287,000 last year from 25,159,000 in 2016. Based on the figures, the country's per capita GDP stood at $1,214 last year, equivalent to that of Myanmar. In an attempt to overcome the negative impact of international economic sanctions, North Korea has "developed various technologies" under the spirit of "self-reliance," Ri said, adding the nation has implemented measures to save the utilization of crude oil, for example. Exports of crude oil to North Korea have been prohibited by U.N. Security Council resolutions, aimed at putting pressure on Pyongyang over its nuclear weapon and ballistic missiles programs. Ri acknowledged that North Korea has suffered food shortages, but emphasized that the heavy and light industries as well as the chemical sector have been growing and electric power conditions have been improving. Amid a thaw in inter-Korean relations, Ri expressed hope for economic cooperation with the South. Ri, meanwhile, urged Japan to abandon its "hostile policy" against North Korea and atone for its past military occupation and colonial rule on the Korean Peninsula, adding that if it is realized, the two countries may be able to pursue economic cooperation.